If you are a domain name investor and registers many domains on regular basis then these tool can help you a lot. If you are newbies in domain name industry and do not want to spend lot of money in buying a domain name then you can use these tools. Domain Name generator tools are made for hand registration of a domain name also there are some additional facility through which you can get the information weather this domain name is available or not. These tools provide us ideas for hand registering a domain name. These tools are also known as domain name generator. If your favorite domain name is not available and if you want its related domain name then you need to type your favorite domain name in these domain name generator and press enter then they will provide of lots domain name ideas which you can choose. When you enter a domain name then these tools apply suffix and prefix to your domain name also it provides synonym of your domain name. Thus by using these tools you can have lots of domain name ideas. There are different kinds of tool available in the domain name industry having different kind of functions in it. This is one of good tool in domain name industry. 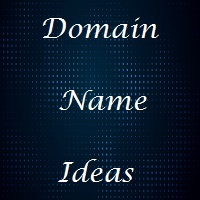 Wordroid provide many functions to get domain name ideas. You need to select language , Quality , Pattern and length of your domain name. Then type your domain name of which related you want. Click on create Wordroid. In the right hand side Wordroid will tell you all the possible domain names related to your keyword. Now if your domain name would be available then it will show you green button otherwise voilet. This domain name generator shows two TLDs .Com and .Net. You need to click there and you can purchase it. You have three options beginning with , containing with and ending with these three options are really very helpful to select your domain name. This is very good domain name tool. You just need to type your keyword and press enter it will suggest you domain name. This tool will suggest you available and registered domain name also. So that you can buy these domain names from domain name marketplace like sedo. If your domain name would be available then it will show you Available status. The one extra facility this tool is providing is that when you click on BUY then it will show you list of registrars with their competitive prices , this makes easy for us to buy a cheap domain name. If you select business name generator then you need to fill your keyword , type of business. service of business and TLD. Then press enter this domain name generator would generate lots of domain name for you. Now you need to select which one you like most and then check the availability of that domain name. This tool is famous for playing domain name contests. Name station also provide the facility to generate the domain names. There is a domain name generator. You need fill your keyword and TLD then select some common property of your domain name then press generate. This show you naming ideas for you domain name. You need to do registration first to use this tool. Then you can follow the process of domain name generation. Many options are available there it makes us easy to find a good domain name in minimum time. In this website you simply you need to type your keyword and select the properties of your domain name then generate your domain name ideas. It also provides the facility to register cheap domain names.